Construction Précellence has been a repeated recipient and finalist of the Domus competition. 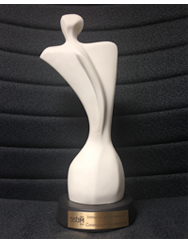 This is one of the most prestigious awards for a home renovation company. 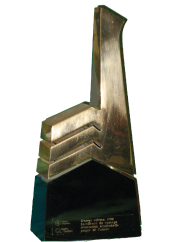 The gala award is presented by a jury of industry professionals under the supervision of an external firm. The types of work were varied for the winning projects: bathroom, extension, basement, kitchen, etc. Recently, Construction Précellence received the prestigious ESTim Award (category: construction company) from the Montreal-East Chamber of Commerce. The jury awards a prize to companies that stand out for their growth, their management and excellence in their field. 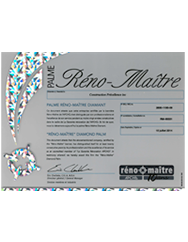 Construction Précellence was one of the first seven companies in Quebec to receive the Diamond certification in 2010. This is the highest level awarded to companies that have distinguished themselves by the professionalism and excellence of their services for at least twenty consecutive years as part of the APCHQ renovation guarantee. Yves Perrier, a journalist and architect emeritus in the housing industry, awards his seal of recognition to companies of merit. The excellent service of Construction Précellence has been recognized by CAA Housing for over 15 years. Net Certification recognizes the skills and certifications of Construction Précellence. nner of the Domus renovation category, the APCHQawarded us the title of Company of the Year in renovation. For standing out by the quality of its achievements, Construction Précellence was awarded the title for three consecutive years. The types of work were varied for these winning projects: bathroom, extension, basement, kitchen, etc.